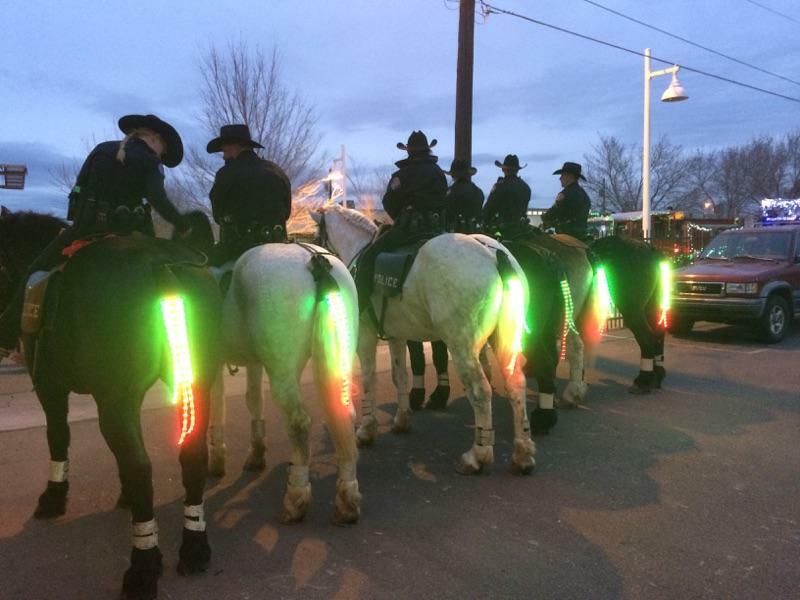 Tail Lights is the worlds first LED lighting safety system specifically designed for Mounted Patrol Units of Law Enforcement. With over a mile visibility, up to 45 hours of use on a single charge on certain settings, wireless keychain operation, multicolor capabilities and of course the RED/BLUE flash patterns, there is nothing out there that competes with us. Our wireless system consists of 2 lights - a chest light, and a tail light. Both are operated with a remote control. Light weight and durable with a visibility of over 1 mile on low, this light does it all. With multiple colors to choose from to assimilate into the community for ease of community policing, but with a simple press of a button to go immediately into Law Enforcement mode. This is a must have for all patrols and their 4 legged partners. Durable and weather resistant makes it the perfect addition to the safety of every officer riding on the roads in any weather. 3 levels of brightness allow for all types of riding, and ensure comfort for both horses and riders when riding in groups. Detachable chest light can clip easily to a dismounted officer for increased officer visibility while on the ground. Discounts of 20% on purchases of 6 or more.